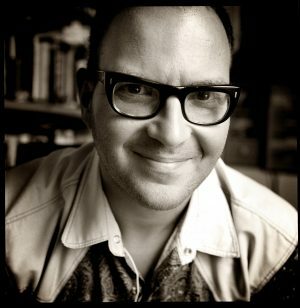 Cory Doctorow (craphound.com) is a science fiction author, activist, journalist and blogger―the co-editor of Boing Boing and the author of the bestselling Little Brother, which was recently optioned by Paramount, with Don Murphy (Natural Born Killers, Transformers) producing. He is the former European director of the Electronic Frontier Foundation and co-founded the UK Open Rights Group. Born in Toronto, Canada, he now lives in Los Angeles. 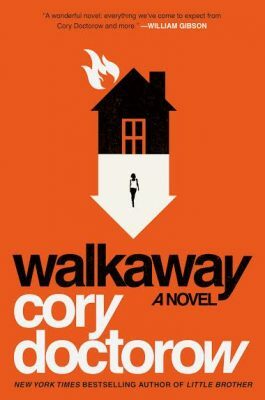 Cory’s latest novel, Walkaway (Tor Books), is coming April 25, and Eco-fiction is thrilled to talk with him about it. Walkaway is an epic tale of revolution, love, post-scarcity, and the end of death. Hubert Vernon Rudolph Clayton Irving Wilson Alva Anton Jeff Harley Timothy Curtis Cleveland Cecil Ollie Edmund Eli Wiley Marvin Ellis Espinoza―known to his friends as Hubert, Etc―was too old to be at that Communist party. But after watching the breakdown of modern society, he really has no where left to be―except amongst the dregs of disaffected youth who party all night and heap scorn on the sheep they see on the morning commute. After falling in with Natalie, an ultra-rich heiress trying to escape the clutches of her repressive father, the two decide to give up fully on formal society―and walk away. After all, now that anyone can design and print the basic necessities of life―food, clothing, shelter―from a computer, there seems to be little reason to toil within the system. It’s a dangerous world out there, the empty lands wrecked by climate change, dead cities hollowed out by industrial flight, shadows hiding predators animal and human alike. Still, when the initial pioneer walkaways flourish, more people join them. Then the walkaways discover the one thing the ultra-rich have never been able to buy: how to beat death. Now it’s war―a war that will turn the world upside down. Fascinating, moving, and darkly humorous, Walkaway is a multi-generation SF thriller about the wrenching changes of the next hundred years…and the very human people who will live their consequences. Mary: Hi, Cory. We’re excited about your novel Walkaway. What led you to write this novel? Could you talk some about how you created a hopeful novel in a current climate of dystopia? And how people are generally altruistic under the “condition of crisis”―as you wrote at Boing Boing? Cory: Hi there. I was inspired by reading three books that had a very profound effect on me. The first and most important one was Rebecca Solnit’s A Paradise Built in Hell, which is a very closely argued history of disasters, which is a really interesting subject. We have a narrative about how disasters unfold, that when they occur people turn on each other and attack each other and loot and pillage. It’s a widely accepted idea and is something that appears a lot fiction too. It’s often a lazy trope of fiction, that a breakdown in technology or a natural disaster immediately spurs a breakdown in civil order. But as Solnit shows, by examining contemporary first-person accounts from these disasters, by and large, people are incredibly good to one another in times of crisis. And, in fact, that’s how you recover from a crisis. You don’t recover from a crisis by establishing martial law. You recover from a crisis by figuring out how to rebuild all the things that have fallen down and fix all the things that have broken. It’s only through cooperation that you get there. All the resources that you spend on martial law in a crisis are resources you can’t spend on recovery. Solnit’s argument is that we have this belief in the inhumanity of our neighbors and, in particular, the inhumanity of neighbors who are poorer and browner than us. And that this is a thing that sociologists call “elite panic,” which gets in the way of recovering from a disaster. And that disasters are confounded and compounded by preemptive strikes to prevent the poor and marginalized from taking advantage of these disasters to seize control or to attack their social betters. And that this ends up not just being a lible on the human condition but also an enormous impediment to a graceful recovery from a failure in our social and political and technological systems. That’s really important because graceful failure is the thing that defines whether something works well. You can design a car with amazing acceleration, but unless the car also has amazing brakes, it’s not a very good car. So I’m interested in the idea that fiction is a kind of self-fulfilling prophecy. If the most ready stories we can call to mind when contemplating a disaster are the stories of our neighbors coming for us, then it’s likely to be the prediction that we make when things go wrong—and things always go wrong, even in a society that is as utopian as you can imagine, where everything works well, is well-distributed and robust and resilient and well-designed, and everybody is happy. Even that society is subject to exogenous shocks, you know, sun flares knock out the electronics and earthquakes make the buildings fall down and your belligerent neighbors invade and your microbes mutate and make everybody sick. And unless your society performs well when it’s failing, it really doesn’t matter how well it performs when it’s succeeding. So I wanted to write a utopian novel that was utopian in the sense that it was about a society that was failing well, not a society that was working well. The next book that was very influential on me was Thomas Piketty’s Capital in the Twenty-First Century. Piketty and his grad students assembled a 300 year-long data series tracing capital flows around the world and found that, over time, the optimal strategy for getting rich was starting rich. They found that the people who made the most money in any given generation were the people who started off with money to invest, not the people who invented amazing things. A good example of this would be the lives of Lillian Bettencourt, who was the heiress of the L’Oréal fortune, who has literally never work a day in her life, and Bill Gates, who invented the most popular operating system and founded the most successful company of his century. Over the same period, Bill Gates and Lillian Bettencourt both made a lot of money, but Bettencourt made lots more money than Gates did, just by sitting around and letting other people invest her money. Then Bill Gates, once he retired from Microsoft, became an investor, so he stopped making useful things and just started moving money around. And again, he actually made more money as an investor than he did by creating one of the most popular products in the history of the world. And so if the story of our economy is that inequality is the price that we pay for allocating capital to the people who create the things that do the most good, that story is not borne out by the evidence. Piketty says that it’s only after some of the great disasters and cataclysms and shakeups of our history that we’ve had any kind of redistribution that allowed capital to be allocated to the people who could do the most good with it, not the people who started with the most. And he also looks at manumission in the US, because enslaved people were treated as capital, so when they were legally converted to people, that act of fundamental justice wiped an enormous amount of notional capital off America’s books. But what followed from that was a period in which rich people had a lot less wealth. So even though they were still rich, they exercised less influence over policy. So I wanted to write a story about what happens when the rich get as rich as it’s possible to be without everything collapsing, when income and equality teeter on the brink. Piketty implies that as societies become more unequal they have to spend more and more money on social stability projects, on cops and surveillance and other tools to suppress the instability created by wealth and equality. I think technology has allowed us to do a lot more stabilizing more cheaply, like we can spy on people a lot more cheaply than we ever could before, and as a consequence I think we can afford to be a lot more unequal before things collapse. That means I think that the collapse will be a lot harder when it comes. So I wanted to write about that Thomas Piketty apocalypse. The third book, Debt: the First 5,000 Years, by David Graeber, is a history of money. The book rebuts the legend of money that says that we invented coin because we found it very unwieldy to figure out how to trade chickens for cows and how to trade cows for seeds—and so we created this kind of store of value and unit of exchange in the form of money. That’s actually not what happened. As far as we can tell, money was created by kings who imposed debts on their subject in the form of taxation debts. They said those debts can only be paid with coins, and then they pay their soldiers with coins. The soldiers could then buy food with their coins from the farmers who had to sell it to them in order to pay their taxes. That money is really a form of weaponized debt, and it’s through credit and debt that we have the secret engines of creation. So, I also wanted to explore what happened when people walked away from their debts. Mary: Thanks for sharing these other books; it’s great insight into the background of Walkaway. I’m impressed by the idea that the characters in your book are driven by desperation but do finally take control by creating a different world and identity for themselves (reminds me of the fugue state in Jean Helgman’s Into the Forest). Walkaway seems to be reflective of our current political, environmental, and economic crises, and what will happen next. I think of the current mood around the world, and how a lot of us are uncertain right now, lumbering around like zombies and feeling powerless. At some low point, as there is in your novel, there is a brink with really two choices: fall or get up. It seems like Walkaway is about these characters who are in crisis and choose to get up. They become incredibly resourceful. We’re seeing this now, with off-gridders and preppers already. It exists. When everyday people become empowered, it makes us feel free and hopeful. What are your thoughts? Cory: I did want to write a story about preppers who weren’t prepping for getting away from society and abandoning their fellow human but rather preppers who were figuring out how to help their fellow human when the disaster struck. I wanted to write about people who were not looking to bug out but bug in, and that, I think, is the most hopeful way to express our relationship to this anxiety about the world and the direction it’s headed. Whether that’s a result of climate change or migration crises or some the fundamental inequalities―if you are worried that the situation can’t be stabilized and will come to a head in a crisis, one way to avoid feeling helpless is not to imagine yourself running to the hills and, you know, finding an abandoned salt mine and raising generations underground until society is rebuilt but rather imagining how you and other people of good faith (which, ultimately, is most people) can rebuild. Mary: The world-building in Walkaway seems vastly exploratory and creative. I think I read that the novel is multi-generational. How long did it take you to write this novel, and were you inspired by other authors? Cory: I wrote this novel over the course of about a year and then did about a year of rewrites. I wrote in my traditional fashion, which was to pick a daily work target, which was 1,000 words in this case, and to write that many words five days a week, 52 weeks a year, without taking any breaks. And that’s how I’ve written all my novels since the second one, although the number of words I write per day varies based on the novel and my life circumstances when I’m working on it. I think is the best way to stay connected to the work and to not have to worry about inspiration striking―to just apply bum to seat, fingers to keyboard, and just do the work. In fact, as soon as I’m finished talking to you now, I’m going to do my 250 words for today on the third Little Brother book, which is what I’m writing as we speak. In terms of being inspired by other writings, there are a lot of nods in in this book, for people who know how to look for them, to Kim Stanley Robinson, in particular to his novel Pacific Edge, which I think is the most optimistic novel I’ve ever read. It’s the book I read when things feel very bleak. It’s a utopian novel about a society in which things are mostly right but in which there is still tension, important tension, about things that people care passionately about. It kind of dispels this idea that a utopia is just a place where we all play harps and sit on the curbs of an ivory city, you know, whiling away the future. Mary: Kirkus Reviews describes Walkaway as a “visionary techno-thriller.” Post-scarcity is an increasing reality, due to automation, meaning that humans may not be needed for most jobs in the future. That will leave us feeling useless and bored as well as hungry and broke―as so many already are and have been. So these future humans have to make use of technology for their own good. It seems you have the background knowledge on how technology, like people, can be both good and bad. Can you expand on your tech background and how it aided your world-building, especially the idea of refugee tech? Also, can you really make beer out of ditch-water? Cory: I grew up with technology; I’m a 70s and 80s kid. My dad got our first Apple II Plus in 1979, and in 1977 we had an acoustic coupler modem and a teletype terminal networked to a university computer that my dad worked with. I really grew up with technology. It’s the water I’ve swum in, but because I grew up with technology―with information technology―I don’t take it for granted. I feel like I have an optimal perch from which to see it, because I saw it as a very primitive thing when it was very adaptable by its users. So I feel like I have a soup-to-nuts grounding in it that begins with trying to get bootloaders to work and goes all the way up to graphic user interfaces and networks, which allows me to interrogate technology and think critically about it at a lot of different levels at once. Refugee tech is something I got really interested in first when I worked with an NGO. When I was in my twenties I went to Central America and helped build a school in a squatter village on the Nicaraguan/Costa Rican border. And second because of my interest in the Burning Man festival, where a lot of refugee technology is adapted and trialed. Things like hexayurts, which appear all through the book, are things that I first encountered on the playa at Burning Man and now build every year when I go. In terms of making beer out of ditch-water, well certainly I think that’s one of the promises of CRISPR and the synthetic biology revolution. There are a lot of people who are interested in different ways of doing it, and synthetic biology has really taken the bit in its teeth, especially when it comes to unicellular organisms. And really that was the first biological experimentation, or first biotech, selectively breeding single-cell organisms to do important work for us, whether that’s culturing foodstuffs or culturing alcohol. Even today it’s become one of the go-to ways of modifying lifeforms to produce useful compounds—to work with a relatively simple biology of a single-cell organism rather than the much more complicated biology of humans. And of course we are incredibly symbiotic with single-cell organisms. The more we understand the about them, the more we understand about ourselves. You know humans, in an important sense, are just cars that bacteria drive. We have 100 times more bacterial cells in our bodies than human cells, and so understanding and modifying those cells is a very promising way to understand and modify our own selves. Mary: Thanks for explaining that. 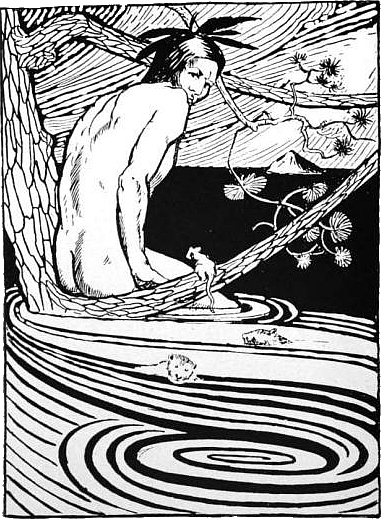 What do you think of a different futuristic world utopia wherein people just go back to nature without much current technology, but instead rely on older tools in an Arcadian (or pastoral) type of living? Cory: I think pastoral futurism is genocidal. We can readily sustain all the people on Earth, and all the people who are coming, if we can find efficient technological ways of doing so, but the less technologically intensive we are, the more of the Earth’s resources we need to consume in order to feed ourselves. So this leaves us with two possibilities. If we’re going to become Arcadian, or pastoral, then we either have to find some way to convince five or six billion people to drop dead or we have to kill them. There is no way that we can sustain ourselves in an Arcadian way with that many people. In fact, anything we do to try to get there will involve chopping down all the forests that remain in order to do low-density agriculture―wiping out all the species that rely on those habitats. The paradox of the green left is that the degrowth agenda requires that we abandon all of the technological work that we’ve done that has reduced the energy and material inputs to our goods―you know, everything from a car to a house to a road has so much less material and energy input than it did a generation ago, let alone a century ago. We would abandon those in the name of defending the environment, but of course this is catastrophic to the environment because we’ll still need those technologies in some important way, but we’ll have to do it more intensive ways. So, for example, I’m not a big believer in organic farming. I think it involves tons of pesticides in fairly wasteful and dangerous ways and it’s only through much more tailored and technologically intensive agriculture that we can minimize our need for pesticides and minimize pesticide runoff and also minimize the amount of habitat we have to clear in order to make way for the vegetables and other foodstuffs we need to eat. Mary: When an author approaches climate change in fiction, it’s tough to wrap one’s head around it. Timothy Morton has come up with the term “hyperobject,” which refers to “things that are massively distributed in time and space relative to humans” to describe climate change. Eco-fiction.com explores, among other things, different ways authors are trying to bring climate change into fiction, though of course it could be argued that, as Margaret Atwood said, climate change is “everything change,” so heterogeneity is a component of modern nature writing. What are your thoughts on climate change in fiction? What could you suggest to authors who are trying to build worlds where climate change has played a part in collapse? Is it even important to distinguish a novel as a “climate change novel” or do we just need more great stories about the human condition? Mary: I agree that there’s a point where climate change is no longer novel and will exist in all stories in some way or another. Walkaway is coming out on April 25th. Are you doing a book tour, and if so, would you becoming to Vancouver, BC? Cory: I am doing a book tour, and I am coming to Vancouver. You can find the schedule at Craphound. Mary: Good to hear. I hope we can make it. What’s next in your writing career? Cory: I am currently working on a third Little Brother book, this one for adults, starring Masha, who’s a character who appears at the beginning and the end of the other two Little Brother books. She is someone who has divided loyalties between the surveillance industry and the people that it spies on. Mary: For those who have not read Cory’s Little Brother series, you can find more information on them at Craphound. I wish you well, Cory, and thank you so much for taking the time to chat with Eco-fiction.com. I’ve learned quite a bit just from this interview and appreciate your time between your daily writing and book tour. Cory: Thank you very much for taking the interest.